Today NASA astronauts Randy Bresnik and Joe Acaba will go on the third spacewalk of this month from the International Space Station. Set to start at 12:05 GMT, NASA astronaut Mark Vande Hei and ESA astronaut Paolo Nespoli will be helping the spacewalkers in and out of their spacesuits and guide the duo as they work outside as well as operating the Space Station’s robotic arm during their sortie. The spacewalk was originally planned for Wednesday but moved to today with a new schedule due to a exterior camera light failure . Randy and Joe will replace the camera light on Canadarm2’s Latching End Effector that was installed in the last spacewalk of this month, and install a new camera on the starboard truss. The duo will also replace a fuse and remove insulation on two electrical spare parts. 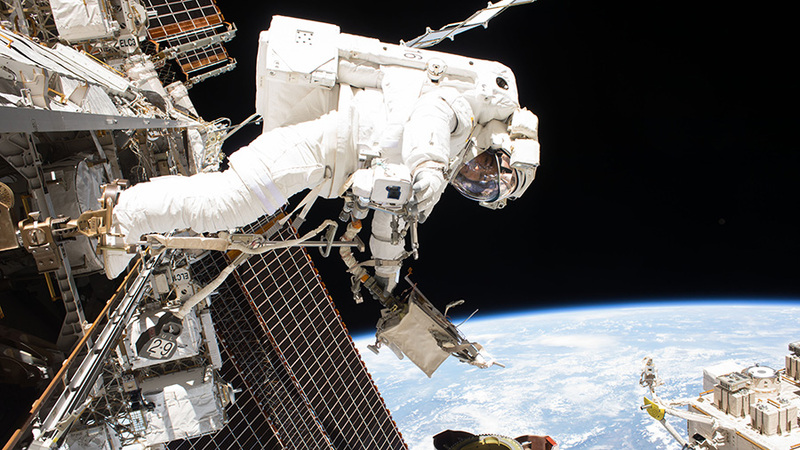 Watch the spacewalk live from 10:30 GMT below.